The imageRUNNER ADVANCE C5535i III device is suited to meet company requirements for high productivity with intuitive usability, sophisticated authentication features, remarkable speed, and amazing color output. The imageRUNNER ADVANCE C5535i III model is designed for a seamless workflow and is capable of high-quality printing at up to 35 ppm in color and black and white on letter-sized paper, and scanning at speeds as fast as 160 ipm with a 150-sheet single pass duplex feeder. 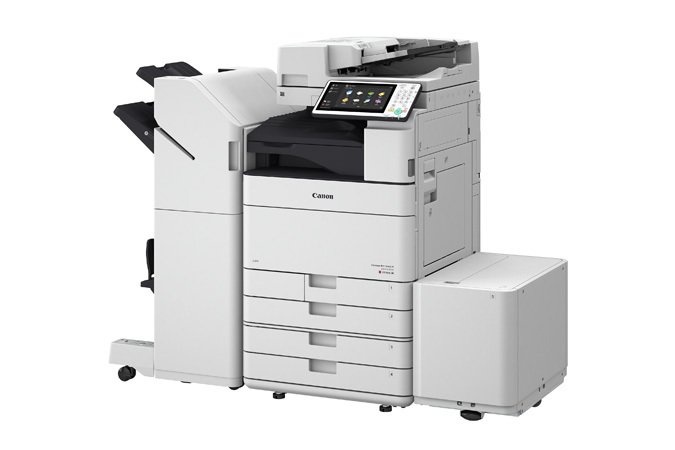 Expect a copy, print and scan experience that supports flexible paper handling and finishing capabilities to meet the varied needs of different office environments and requirements of individual users.